The trick to making money with airplanes is to not own them. Jet Linx learned that lesson four years after the Omaha company started in 1999, giving up ownership of its jets and shifting to aircraft management and a private jet travel card service. Now, Jet Linx is celebrating its 100th managed jet — actually, the fleet stands at 101 today — and ranks No. 3 in the highly fragmented industry of managing and renting out expensive air vehicles as a service to their owners. “A hundred airplanes is a phenomenal benchmark,” said Jet Linx President and CEO Jamie Walker. He hosted about 400 clients, staff members, vendors and others for supper at downtown Omaha’s Blatt Beer & Table restaurant, followed by a private concert by the band Smash Mouth at Slowdown. No. 1 in managed fleet size is Executive Jet Management, a subsidiary of Berkshire Hathaway’s NetJets. No. 2 is Gama Aviation, based in Hampshire, England. Jet Linx added 38 aircraft last year and is headed for 110 by the end of 2017. Walker attributed that growth, about 30 percent a year in revenue, to the people running its network of 14 local private airport terminals, alongside the 95-member staff at its operational headquarters in Omaha. From pilots to airplane polishers, Jet Linx has 485 employees. 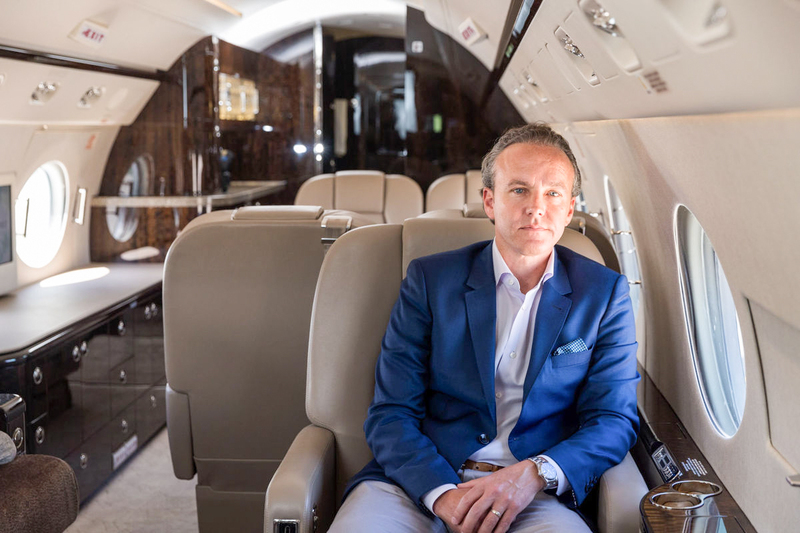 Joe Moeggenberg, president and CEO of air travel data company ARGUS International of Cincinnati, said Jet Linx’s local network is a unique structure in private jet management, an industry with 2,300 businesses, nearly all of them tiny, that manage private jet airplanes. Jet Linx — an ARGUS customer — has a cost advantage because most of its flights start or end at its network cities, Moeggenberg said, meaning fewer expensive empty-cabin flights. Aside from a few jets managed exclusively for their owners, Jet Linx’s card customers can book any of the airplanes made available at the owners’ discretion. 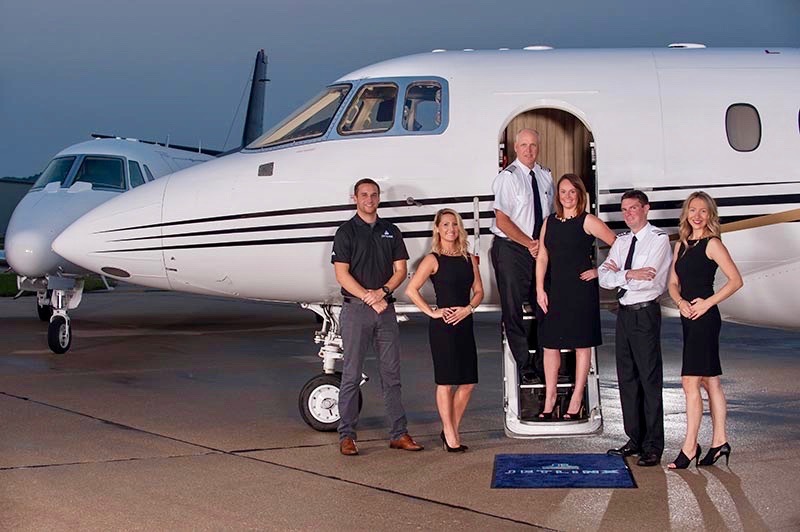 Jet Linx handles fueling, maintenance, safety checks, hangar storage and other services, including employing pilots, as well as scheduling and tracking flights for Jet Linx’s card members, more than 200 in Omaha and 1,300 total. All 79 Jet Linx charter aircraft nationwide are included in FlightList PRO‘s multi-search platform along with all all 16,631 charter aircraft and 3,419 charter operators worldwide. Free 30-day trials available here. Card members are guaranteed hourly rates — $3,500 to $8,500, depending on the size of the plane — as well as flight access and safety standards, Walker said. Their travel fees cover Jet Linx’s costs and supply revenue for the aircraft owners, often cutting net operating costs by 50 percent. Besides operating expenses, aircraft prices are high, especially for long-range aircraft. Jet Linx’s fleet includes seven-passenger Beechjet 400s that can travel 1,400 miles on a tank of fuel, often priced around $700,000, and 14-passenger, $20 million-plus Gulfstream 450s with a 5,000-mile range. Walker said some businesses would end their company flight operations if they had to absorb all the costs. By bringing in revenue from travel card customers they can keep the convenience and time savings that jets offer. Besides Omaha, Jet Linx’s local offices are in Atlanta; Dallas; Denver; Detroit; Forth Worth, Texas; Houston; Indianapolis; Nashville, Tennessee; St. Louis; San Antonio; Scottsdale, Arizona; Tulsa, Oklahoma; and Dulles Airport in Washington, D.C.
Jet Linx is majority owner of each location, with a local partner as minority owner. “We need somebody locally who gives us that credibility and trust and support in that community,” Walker said, plus contacts to recruit as travel card members. Besides reduced “dead-head” flight costs, he said, the terminals provide local-style, personalized service for card members and aircraft owners. The local Jet Linx partner typically becomes “the jet guy” in each city, he said. Later this year Jet Linx’s local offices will celebrate the 100-aircraft landmark. Jet Linx was founded by Denny Walker, Jamie’s father and now chairman. He is former head of MemberWorks Inc., an Omaha-based card membership company. Jamie Walker said Jet Linx has room to grow, with plans to open about two locations a year. He said another dozen or so U.S. cities meet Jet Linx’s requirements for airport services and other standards. The Omaha World-Herald is owned by Berkshire Hathaway Inc.
By: Steve Jordon / Omaha World-Herald, 6/26/17. Article in the Omaha World-Herald here. All 79 Jet Linx charter aircraft are available in the FlightList PRO multi-search platform which includes all 16,631 charter aircraft and 3,419 charter operators worldwide. FlightList PRO is used by the most successful and experienced brokers and travel professionals in the industry; 80% of users have arranged charters more than 10 years, 25% more than 20 years. This entry was posted in Operator Updates, Private Aviation Industry News, Uncategorized and tagged Air Charter News, Jet Cards, Jet Charter Operator, Private Aviation News on July 27, 2017 by FlightList PRO.